Summer is here in the Caucasus, and for the Transcaucasian Trail team, that means only one thing: grabbing our tools and heading out into the mountains to open up more of this stunning region for hikers, adventure travellers, and lovers of the outdoors. This year, building on the success of last year’s trailbuilding efforts on the northern route in Georgia, the TCT team will be opening the very first section of the southern route in Dilijan National Park, Armenia. Last year’s scouting and mapping expedition identified many potential starting points for developing the southern route. We chose Dilijan National Park for the same reason we chose Svaneti: it is already a destination for local and foreign trail users in search of opportunities to explore. Yet the Park suffers from the lack of purpose-built trail infrastructure, with the existing official trail network confined to poorly-maintained jeep tracks, and with inconsistent and ugly trail markings only worsening the hikers’ experience. It was clear that this lack of sustainable, purpose-built trails was seriously undermining the Park’s potential. So today, after many months of preparation, our team of local and international volunteers will tool up and move out into the forest, where we’ll pitch a basecamp for building Armenia’s first purpose-built trail network. 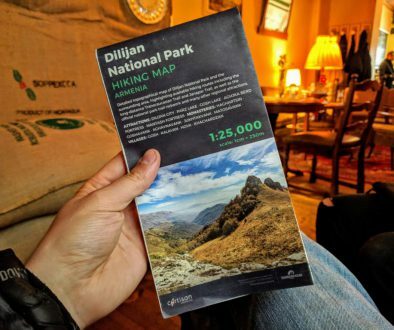 The trail we envisage will stretch at least 75km (47 miles) through the territory of Dilijan National Park, connecting key natural and cultural sites together into a continuous multi-day hike. Highlights of the new trail will include the spectacular limestone cliffs and caves of the Ijevan Mountains, the world-famous Haghartsin Monastery complex, two of the Park’s highest peaks, and Goshavank Monastery, as well as lakes, mineral water springs, and some of the most stunning ridgeline hikes in the region. Camping sites will be spaced along the route at one-day intervals, and in many locations there’ll be the opportunity to overnight at local homestays too. 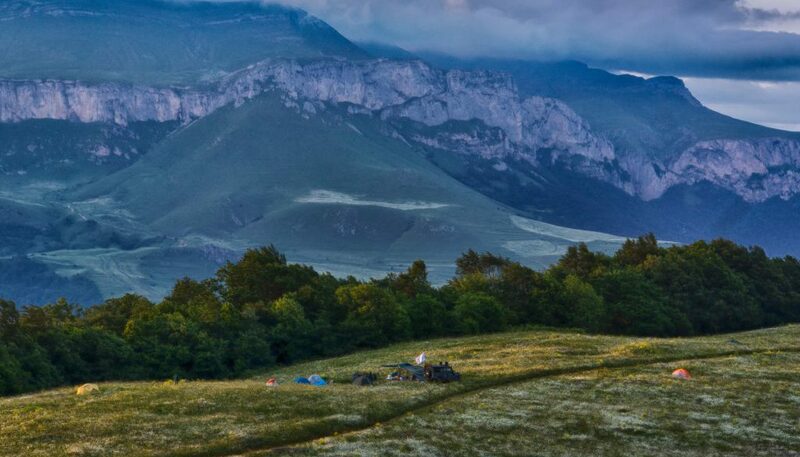 Once complete, this section of the Transcaucasian Trail will comprise the first purpose-built multi-day hiking trail in the Republic of Armenia; a country with enormous potential for outdoor tourism which is finally beginning to be realised. 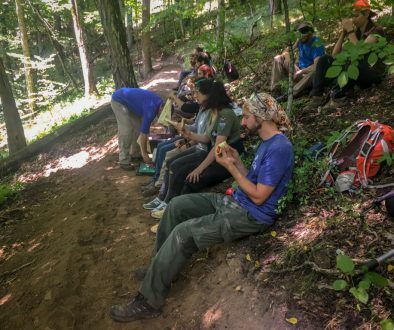 As before, we’ll be pushing the model of volunteer trailbuilding crews led by professional crew leaders, not just to achieve the results we want but to ensure that the region is left with experienced local trailbuilders who will maintain and extend the trail over time. 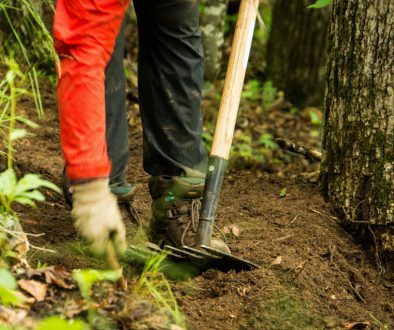 More than 30 local volunteers will participate in the project over the course of the summer, led by Hans Keifer, a professional trailbuilder with more than 20 years of experience. We’ll also be welcoming back several of our 2016 alumni as part of our international volunteering programme, with people of 10 nationalities travelling to Armenia to contribute to this pioneering effort. It’s been difficult to convince many in Armenia that purpose-built trail infrastructure is key to making a destination viable for serious hikers, despite mountains of evidence elsewhere in the world (if you’ll excuse the pun). Our work this year represents the TCT’s attempt to go beyond words and to demonstrate tangibly the difference between a rolling singletrack trail through the wilderness and a muddy dirt road between two cattle farms or logging sites. Building these new trails will be hard work, no doubt, and has required us to bring in skills and knowledge that are not currently present in Armenia. But we’re confident that – once the results are demonstrated – this new culture of sustainable trailbuilding will be embraced here, resulting not just in the Transcaucasian Trail moving closer to its vision but for other trail networks to spring up alongside. We are proud to announce the Hirair and Anna Hovnanian Foundation as our main funding partner in this project; an organisation whose directors share our vision to usher in a new era of hiking and adventure tourism opportunities in Armenia. Our second funding partner is Caucasus Nature Fund, whose important conservation work includes providing support for infrastructure projects in protected areas of the Caucasus, including Dilijan National Park. The guidance and support of our partners will be invaluable as we work towards our ambitious goal for 2017. Our strategic partners include HIKE Armenia, who will provide publicity for the new trails on their digital trail mapping and information platform, and Birthright Armenia, who will be connecting us with willing and capable volunteers to strengthen the team on the ground. In addition, we would like to thank Dilijan National Park SNCO and the Ministry of Nature Protection of the Republic of Armenia for entrusting this work to the Transcaucasian Trail team. Finally, we are grateful for the continuing support of Land Rover for their extended loan of our beloved Defender, Georgina, who will again be playing an integral role in this year’s work. An approximate version of the 75km route, using existing dirt roads and cattle trails, is already open for hikers wishing to get a taste of the landscapes passed through by the future Transcaucasian Trail route in Dilijan National Park, with trail guides and maps available on our website. For those wishing to experience the new trail first hand and in the company of TCT team members, we will shortly be announcing a fundraising ‘beta-trek’ in September, which will follow the new trail and its proposed extensions outside of Dilijan National Park for 10 days, with the proceeds supporting future work on the trail. Sign up for our newsletter or follow us on Facebook to be informed about this and other upcoming developments on the Transcaucasian Trail! No more news since June?